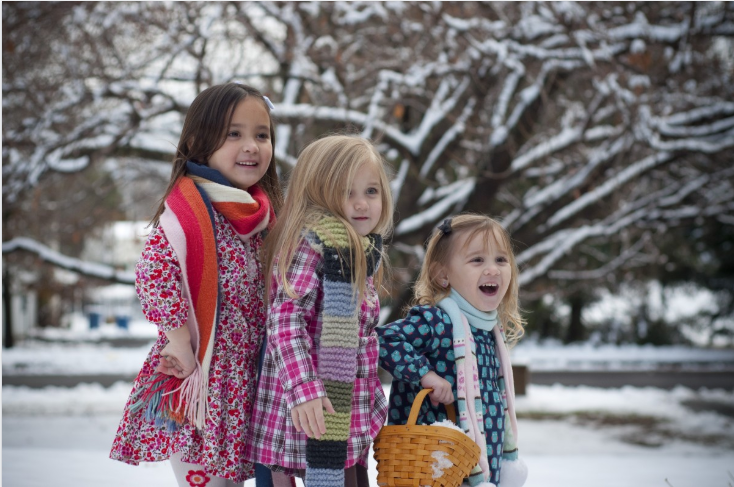 This holiday session have kids scavenge for materials on a nature walk with which creative holiday treasures will be made. Part of this class will take place outdoors, please make sure that children are dressed for the weather. A small snack is provided, please advise if your child has any allergies. 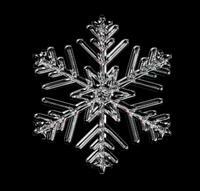 Artist Matt Watkins will guide you in creating your very own handmade silver snowflake necklace! This is a great opportunity to try your hand at jewellery making! Just in time for the holidays! Donations accepted for the library. 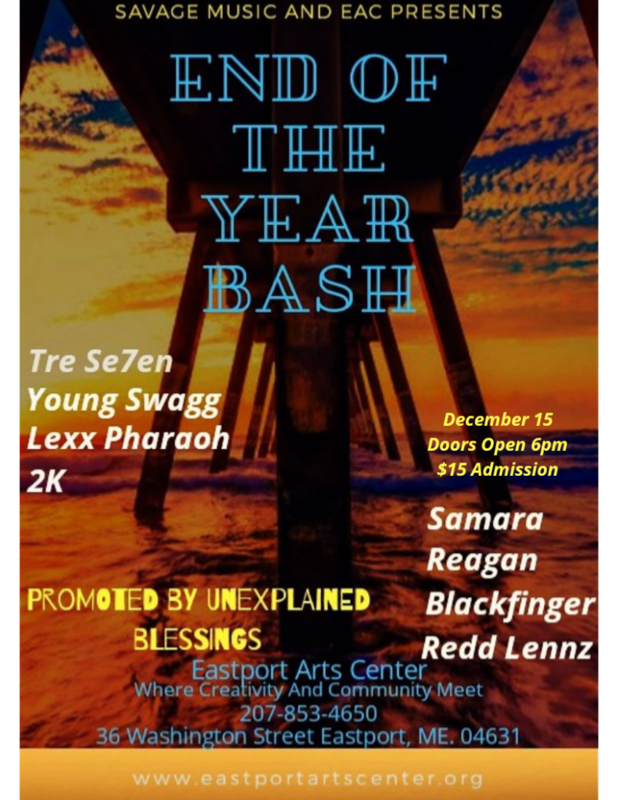 Savage Music Management and Eastport Arts Center present an "End of the Year Bash" featuring Tre Se7en, Young Swagg, Lexx Pharaoh and 2K, with Samara, Reagan, Blackfinger Cha Ly Boi, Montique Reddick, Fubbly, Krypt and Redd Lennz. Doors open at 6 pm, and there is a $15 admission fee. The event is promoted by Unexplained Blessings Productions. 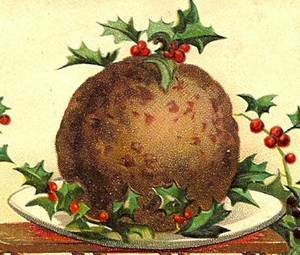 Looking for something fun for your office’s holiday party? 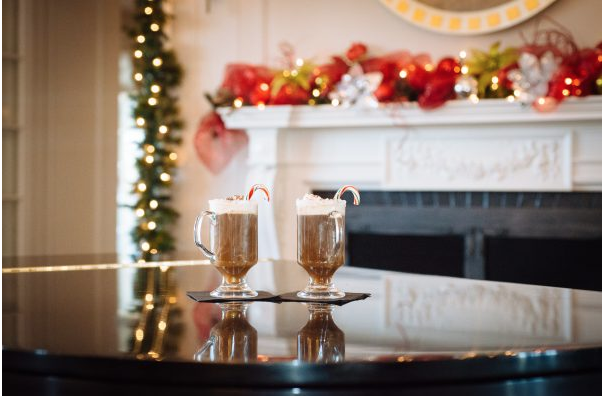 Whether you are a group of six or sixty the Algonquin Resort’s Biggest Little Holiday Party is the place for you and your colleagues to celebrate the season! Join us on Saturday, December 15th and be entertained by Comedian Colin Hollett. 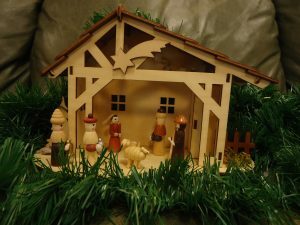 Your evening includes: a reception with hors d'oeuvres, holiday dinner buffet, and more!